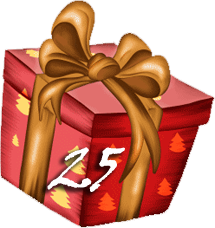 Today is 25th of December, we have reached the end of our Advent Calendar 2014. Thanks for following us these days and we hope that you spend a perfect day. We leave you with the last of the gifts. See you next year!